Whether you’re just ramping up an advocacy campaign, in the thick of it, or reflecting back on a recent effort, there’s value in evaluating your practices and seeing where you could improve your campaigns. If you’re running an advocacy campaign, you’re clearly dedicated to the mission behind your goals. So logically, you’d want to do everything in your power to make the most of your work. Once you have your plan in place, you’ll need to employ a selection of best practices to maximize your efforts. There are numerous best practices for running an advocacy campaign because the campaigns can be so varied themselves. Remember the relationship between online and offline activities. Ensure your action step is front and center. Contact in the best way possible. Continuously grow your supporter list (9 ways). Once you've learned more about running an advocacy campaign, you can also look into grassroots advocacy. Check out this helpful guide for more information. Now, let's jump into our 8 tips! 1. Eight questions that will guide your advocacy strategy. What is your campaign’s or organization’s theory of change? A theory of change is bigger than an action plan: it’s a logic model that maps your process of change from beginning to end. The map works backwards from the outcomes you’re seeking, stepping back to name the building blocks that will be essential to get you from here to there, and being explicit with your assumptions about how you think change is going to happen. Defining a superpower is about the campaign’s value proposition – the quality or characteristic that is going to compel people to join you. What unique skill/perspective/asset does the campaign bring to your advocacy space that no one else does? What is your campaign’s overarching goal? A campaign goal must be selective, strategic, focused and winnable. What incremental objectives support your goal? Objectives are the stepping stones on the path to achieving your goal. They should be more bite-sized and more specific than your goal, and they should be instrumentally relevant to winning. What are your campaign’s core strategies? Strategies answer the question “how.” They show how you’re going to approach the targets of the campaign, what levers need to be pushed to win, and how you’re going to push them. Who do you need to power your campaign? “Anybody who cares about my issue” is generally not a good answer to this question. Examine the interests, positions and conflicts of your stakeholders and targets. Think strategically about which constituencies could be most instrumental to achieving some or all of your objectives, or who could have the greatest multiplier effect. How will the campaign engage its supporters? How will the tactics get executed? What kinds of action opportunities is the campaign offering constituents, members, or volunteers? The era of one-size-fits-all campaigns is over – your campaign tactics should be customized and meet your people where they are in order to offer them meaningful ways to get involved. How will you measure effectiveness? What does success look like for each of your objectives? How will you know if you were successful? 2. Remember the relationship between online and offline activities. The best advocacy campaigns combine the power of online activities with the potential of offline activities. Both are critical to the success of your organization’s efforts. Your online actions won’t be enough to sustain an effective campaign. Likewise, running a campaign without online assistance is seriously not advised. Strike a balance between the two mediums. You can, for instance, coordinate most of your efforts virtually, but you might want to supplement your hard work online with an in-person step that could take your campaign to the next level. Essentially, the point to emphasize here is that your online and offline advocacy actions should coexist. The better integrated your work is, the easier life will be for your team and your supporters. The best way to balance your online and offline activities? Keep track of your donors, volunteers, and other supporters in your constituent database software. You can use software like this to get an overview of your supporters' engagement histories, including when and how they give, their volunteer history, or how they've engaged with your cause online. Use this comprehensive view of your communities' actions to determine the right next steps you need to take in your advocacy campaigns. If you don’t know the impact you’re aiming for, how can you expect supporters to get on board? Think through the mission of your campaign, and if you’re asking for a specific action, make sure you know what that act will hopefully accomplish. People invested in your cause will want to help, but they’re going to want to know what they’re doing and why. It’s not an unreasonable ask. Evidencing the impact will be especially crucial if you’re asking for an online action. It’s far easier to convince someone to join in on your efforts when you can have a genuine face-to-face conversation with that person. It’s far harder to establish that kind of credibility with the disconnect and relative anonymity that the internet culture fosters. That’s why it’s all the more important that you make your online requests more trustworthy. To build trust, be transparent about the exact impact you’re hoping to have. If your organization has taken similar steps in the past, you can even bolster confidence with your previous success stories. You’ll also need to be able to trace a line from the action itself to the fulfillment of your goal and the service of your cause. Give people a sample of the micro and the macro as you explain the purpose and decision behind choosing this particular action. 4. Ensure your action step is front and center. Providing background information and context is important, but you also need to make sure you aren’t burying the lead, so to speak. Give people a step to take. Your messaging can get a supporter fired up to join in, so you should be providing a channel to funnel that enthusiasm — whether that channel is attending an organizer meeting or signing a petition. Pass the details on to their networks. With the help of the internet, the physical act of spreading the word is easy-peasy. Don’t let the ease of sharing fool you, though. Your content has to be worth sharing in the first place. Your communications need to cut through the clutter that crowds social media and the internet in general. Reach out and grab the attention of your potential supporters! 5. Contact in the best way possible. Part of cutting through the clutter is contacting in the best way possible. Make a go of reaching your supporters in the exact manner that they prefer to be reached, which is when they’re most likely to be responsive. Don’t let all those options go to waste! Based on your previous advocacy campaign history. Based on your communication history with contacts. If you keep track of your communication data, specifically response rates, you’ll be able to form educated generalizations about the means of communication that your average supporter responds best to. For example, if your last campaign yielded tons of response from your email series, continue down that path the next time around. You can even dive further into the investigation and see what sorts of emails were most effective. This step will come with time. You can’t track communication history with contacts that you don’t have. So, as you build up your support base, make sure you’re proactive about using your CRM to keep records of key behaviors. Then, when you have ample evidence to determine preferences, leverage that data! If you have a big supporter pool, you likely won’t be able to take an approach that is this customized with each contact. You can however, segment your supporters who share similar preferences and provide a reasonable level of personalization. Additionally, you might want to give added attention to particular supporters who have the potential to have a major impact on your campaign, whether they could donate a significant amount or have connections with the policy makers you’re trying to reach. For those supporters, you can segment them out and practice cultivation measures, like arranging an in-person meeting or hosting an informational luncheon. Contacting in the best way possible comes down to getting to know your supporters better and maximizing your efforts. Grow your network of advocates. Target the right people to help you in your efforts. In this case, your friends are your supporters, your potential supporters, and the people you’ll be interacting with and relying on to help you effect change. As far as keeping your supporters and potential supporters close, that will come down to acknowledging their work, giving them opportunities they can engage with, and keeping the lines of communication open. For the third group, the people in power who can effect change, you’ll want to make sure you’re reaching out to the right targets and handling your interactions appropriately. The right target is someone who is in power and open to what you’re advocating for. If someone is firmly closed off to what you’re asking, you won’t get anywhere, and you’ll be wasting your time. You want a target who can become an ally, not an immovable wall between your organization and your goal. Emphasize exactly what the action will accomplish — People want to know what they’re being asked to get involved with, and they want to be able to evaluate the likelihood of their participation resulting in real, notable outcomes. Draft direct messaging — If you’re asking someone to send an email to a member of Congress, make sure that the wording in the email is persuasive and straightforward. You’ll also want to ensure those sending the email can take your template and customize it. A personal touch can go a long way when it comes to getting through to recipients. Give a concrete direction: The action you’re requesting of your advocates and the actions they’re requesting of their various power players have to both be reasonable and concrete. Someone receiving a request should be able to diagnose exactly what’s being asked of them. Keep people updated: Supporters will want to know the results of their efforts. It’s human nature. Tell them what has occurred. Show your appreciation for their work. And, offer next steps if applicable. Those are just four of the many ways you can be crystal clear. Think through what your group can do to be as transparent as possible. 8. Continuously grow your supporter list - here are 9 ways. 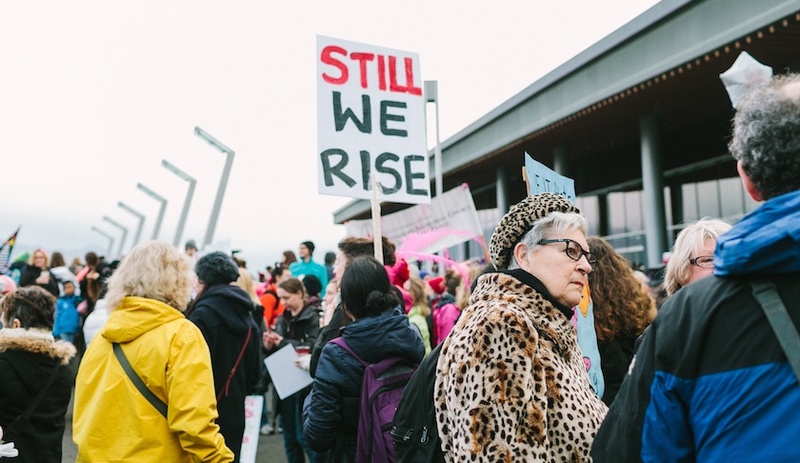 Supporters are the lifeblood of any organization, and one way to get folks actively engaged in your cause is through online actions such as petitions and targeted actions. But, here’s the crux – many online actions aren’t effective in achieving offline results and don’t grow your list. In fact, only about 10 percent of people complete an online action (like signing a petition). You’re going to need a lot more than that to bolster your grassroots campaigning. 1. Make all actions shareable. We’re all highly influenced by others, and shifts in public opinion are often tipped by a critical mass of “easily influenced” individuals. People pretty much do whatever their friends are doing, which is why your content must to be shareable. 2. Create compelling content. This is key to the success of online advocacy and should influence your readers – quickly – to care about your issue, inspire action, and motivate them to share with their networks. For tips, check out this short video: Content Marketing for Nonprofits. 3. Online actions need to be credible so that people will take part and share it with their friends. Don’t just promote actions for the sake of building a list. 4. Provide sign-up pages. Try to get the contact information of everyone who takes action and make these calls to action prominent on your website. Be authentic as you do this: don’t capture names while masquerading your intentions as something else. Let your subscribers know what to expect next and how you plan to stay in touch and use their information. 5. Find and thank your messengers. By this, I mean: find those who are spreading the word and influencing their profession or community. Thank them for being an advocate and get to know them, especially if they are bloggers. 6. “Like” and “Follow”. Again, identify influencers on social media whether they are influential individuals or targeted groups such as your local animal group. “Like” them and comment (usefully) on what they post. 7. Online ads and list-building services. Targeted Facebook and Google ads, purchased with the right keywords and pointing to an effective landing page can often inspire strangers to take action and share their contact information. If you have the budget and have hit a brick wall with your organic growth, organizations like Change.org and Care2 can send a targeted message to their supporters on your behalf. 8. Have a rapid response plan in place. Stay on top of current affairs, and be ready to respond and take advantage of any news that you can. 9. Cross-promote with other organizations or coalitions. Find like-minded organizations to send messages on your behalf to their supporters. The average conversion rate is five percent – not bad! Advocacy is rooted in an effort to effect change. Take that drive for change and look inward. Make your organization’s efforts better so that you can go out and make the world a better place. Free Download: Advocacy Action Kit. Execute your strategy with this Action Kit containing 25+ advocacy tips and templates for winning grassroots campaigns with multi-channel tactics! Free Course: How to Win Grassroots Campaigns with Multi-Channel Advocacy. Learn how legislators are avoiding constituents and how your campaign can use multi-channel tactics to break through! Free Guide: Clear and Complete Guide to Online Advocacy Software. Learn the 4 benefits of advocacy software and 16 advocacy and marketing features you can't live without! Free Demo: Salsa's Online Advocacy Software. Find the best solution for your nonprofit, association, campaign or 501c3 organization by leveraging our suite of advocacy tools!